This year tuition will be offered in singing and the following instruments: violin, violoncello, viol (viola da gamba), recorder, traverso (baroque flute), renaissance reeds (shawm, dulcian), harpsichord, baroque oboe, and lute instruments. If you are interested in playing an early music instrument not shown in the short list above, please contact the organizers! It is possible to hire instruments if you donâ€™t have your own. In case you want to discuss suitable program or you have questions regarding the course contents, or want to hire an instrument, please contact the organizers. We will give you the contact information of your teacher. The flute class concentrates on different aspects of baroque traverse flute playing. The flute teacher teaches recorder playing, as well. 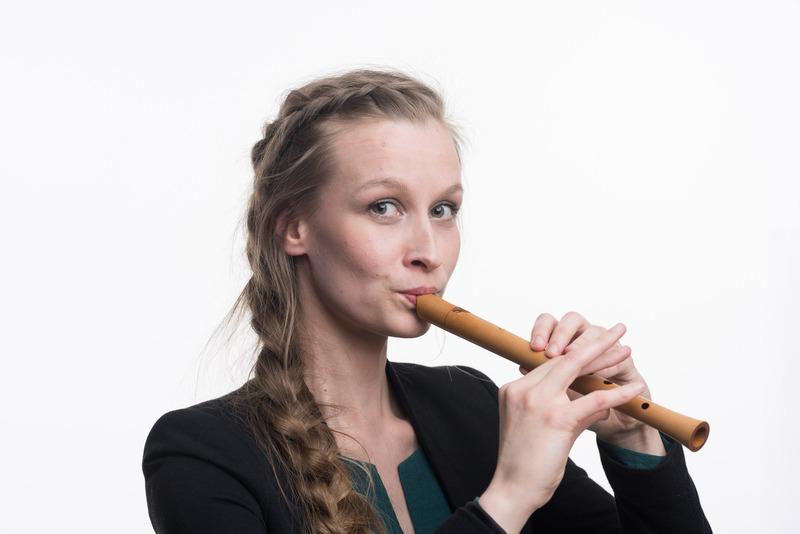 SINI VAHERVUO Traverso and recorder player SINI VAHERVUO teaches at the Tampere Music Academy, at KÃ¤pylÃ¤ Music School and the senior section of the Finnish Baroque Orchestra, as well as giving private lessons. She is interested in the learning processes of people of different ages and seeks to take these into account in her work. In October 2018 she published a preliminary textbook (in Finnish) for recorder players. Sini is an active concert performer both as a soloist and in different ensembles such as Ensemble Nylandia and renaissance recorder ensemble Q Consort. She is currently working on the two projects closest to her heart, which she has developed herself, entitled â€œThe most beautiful baroque Christmas songsâ€� and â€�Aallotarâ€� (solo recitals by the water). Sini graduated as Master of Music at the Sibelius Academy where she attended the early music classes of Petra Aminoff, Rabbe Forsman and Jari S. Puhakka. She studied traverso at the Metropolia University of Applied Sciences in Helsinki with Pauliina Fred. Sini and her husband, harpsichordist Matias HÃ¤kkinen, promote early music on the Finnish cultural scene by organizing events for the arts association CafÃ© Baroque. She is also the secretary of the Finnish Recorder Society. Tuition is offered in both solo and ensemble playing of the viol. The viol and cello players have usually been very popular during the course, everyone needs a continuo string player. The course offers a rare opportunity to real viol consort playing! LOUNA HOSIA is a Finnish early music practitioner who enjoys music both as a performer and as a teacher. She has performed in Finland and abroad as a baroque cellist and viola da gamba player. She is a member of several orchestras â€“ Finnish Baroque Orchestra, Helsinki Baroque Orchestra, Ensemble Nylandia, New Century Baroque (a founding member), Concerto Copenhagen, KORE orchestra â€“ and ensembles such as Henry Jay Helsinki Concort, Cornucopia and BrÃº (folk baroque music). She was a member of the European Union Baroque Orchestra in 2009. Louna is a teacher at the LÃ¤nsi-Helsingin Musiikkiopisto (West Helsinki Music College) and the Sibelius Academy. 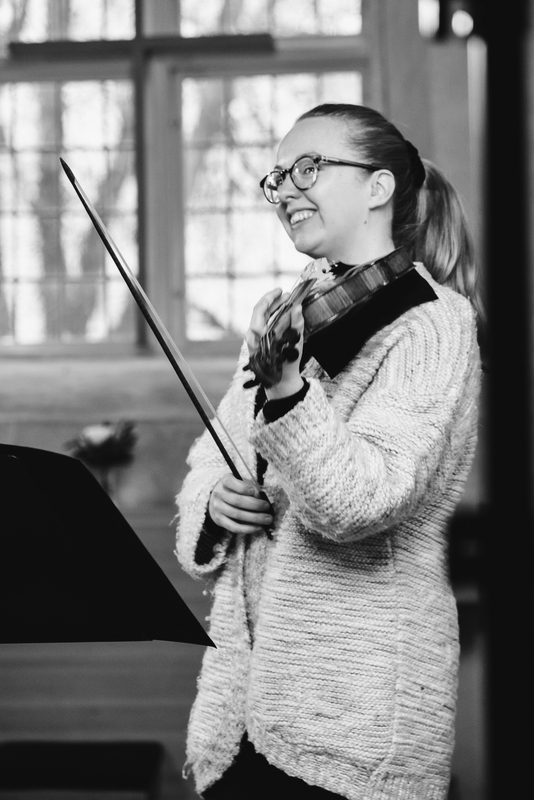 As a member of the Fibo Collegium (the Finnish Baroque Orchestraâ€™s teaching group) she has the privilege of travelling all around Finland to spread the good news of early music. The class will offer an insight into the secrets of the baroque violin. You do not necessarily need to have a baroque violin in order to participate the course (but it helps, of course!). 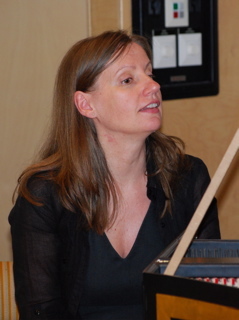 MINNA KANGAS studied violin and baroque violin playing at the Sibelius Academy and on master courses. She has been tutored by many different violinists, including Paavo Pohjola, Kaija Saarikettu, Monica Hugget, Ana Chumanchenko and Kreeta-Maria Kentala. Minna received her Master's degree from the Sibelius Academy with baroque violin as her main instrument. As a freelance musician she is highly versatile, performing on both the modern and the baroque violin. The venue may be a country house, circus, opera, stage, petrol station (! ), church or whatever. She has visited various festivals and concert halls in Finland and Europe as and orchestral or chamber musician. She has been a member of for example the following orchestras: Keurusseudun alueorkesteri (local orchestra in central Finland), Helsingin Juniorijouset (The Helsinki Strings), Tapiola Sinfonietta, Drottningholm Theatre orchestra, Avanti! and the orchestra of the Finnish National Opera. Lately she has been an active member, concert master, soloist and trainer in Stadin barokki, Sibelius Academy baroque orchestra, Finnish baroque orchestra (FiBO) and Helsinki baroque orchestra (HeBO). 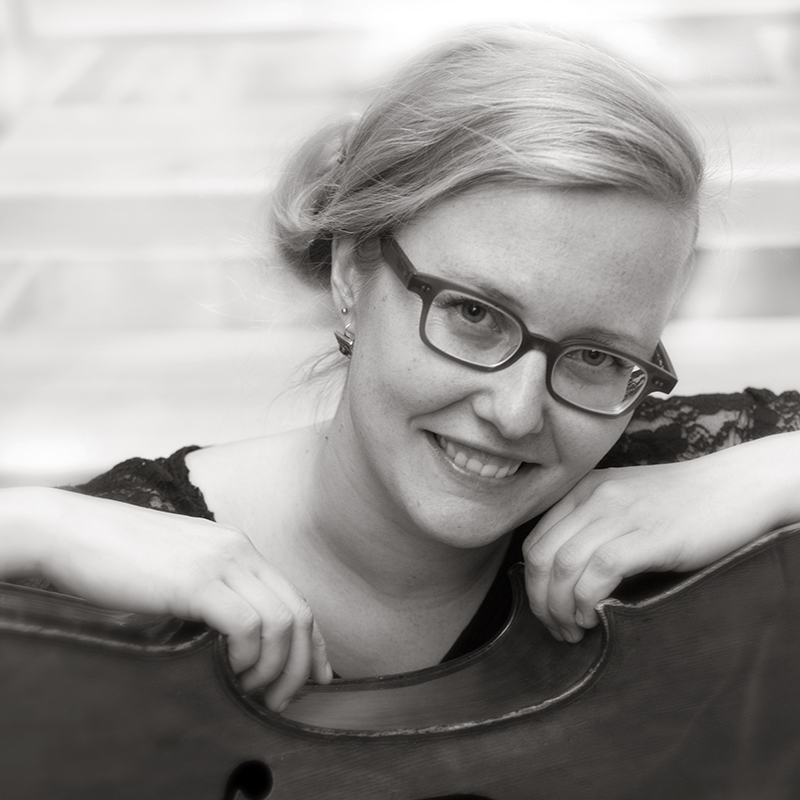 ANNA RAINIO studied violin at the Turku Conservatory and at the Helsinki Metropolia University of Applied Sciences. She studied baroque violin at the Sibelius Academy and the Musikhochschule in Cologne. She graduated from the Sibelius Academy in 2014. Anna considers that the most important teacher is work itself, and she finds it rewarding to work with skilled colleagues, both former role models and new acquaintances. Anna is an active freelance musician in Finland and abroad. In addition to various chamber music projects she performs for example with the Helsinki Baroque Orchestra, the Finnish Baroque Orchestra and Ensemble Nylandia. She is a regular guest performer in the Norwegian orchestra Trondheim Barokk. Pedagogical work is important and exciting for Anna. She teaches various courses and private students as well as participating in the Fibo Collegium teaching group of the Finnish Baroque Orchestra where, among other things, she organizes baroque music projects with senior citizens. Anna made her official debut concert in the Sibelius Academy Young Artists series in 2017. She was the artistic director of the Finnish Early Music Societyâ€™s â€œBarokin labyrinteissaâ€� (â€œIn the Mazes of the Baroqueâ€�) festival in 2018. The singing course will cover early vocal music from the middle ages to the baroque. There will be tuition in both solo and ensemble singing. We welcome ensembles, as well! If you want to participate as an ensemble, please contact the course organizers for practical arrangements and prices. Tenor VEIKKO KIIVER has degrees in both singing and singing pedagogue from the Stockholm Royal Music School. He has appeared with the Eric Ericson chamber choir and the Swedish Radio Choir, and performed with several choirs in Sweden and abroad. With the Rheinische Kantorei (KÃ¶ln) he has performed baroque and other early music and appeared as a soloist in, e.g., oratories, and recorded for Emi and Capriccio. His special interest is early sacred music. He is the director of the Schola Gregoriana Holmiae ensemble and performs with the Vox Tremula ensemble. He also sings in the French Ensemble Gilles Binchois, which is one of the leading medieval sacred music ensembles in the world. Veikko Kiiver often performs in concerts in Sweden, Finland, Germany and Estonia. 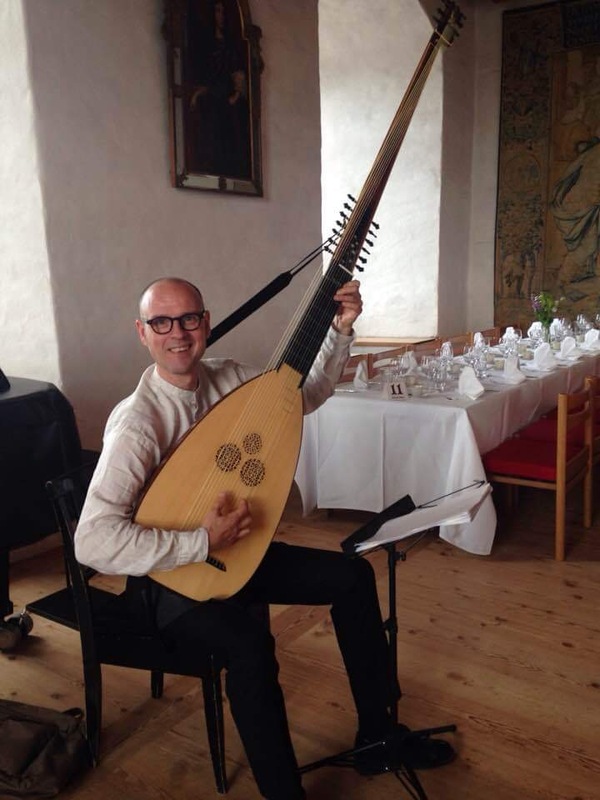 He teaches singing, e.g., at the Skara Medieval Music Festival and gives private lessons. The harpsichord class concentrates on stylistic and technical issues of harpsichord playing. Words of wisdom are also offered on continuo playing. The harpsichord players will have numerous possibilities to practice their continuo skills with singers and instrument ensembles. Elina Mustonen began playing the harpsichord at the age of eight. After completing her studies at the Sweelinck Conservatoire in Amsterdam with Ton Koopman, she graduated with a doctoral degree from the Sibelius Academy in Helsinki. The subject of her final thesis was J.S. Bachâ€™s harpsichord pedagogy. She enjoys a wide reputation as a respected pedagogue in her field. Several of her students have been prizewinners in international competitions. In the field of theatre Elina Mustonenâ€™s major Shakespearean roles have included Prospero in The Tempest and Hippolyta / Titania in A Midsummer Nightâ€™s Dream. Her harpsichord playing is at the center of the stage production based on JosÃ© Saramago's Nobel prize winning novel Baltasar and Blimunda. The production has toured widely in Europe at the invitation of Mr. Saramago. The lute class will concentrate on solo, ensemble, and practical continuo playing of lutes and other plucked instruments. Continuo students will have plenty of opportunities to accompany singers and other instrumentalists. NIKLAS MELLBERG studied the guitar with Juan Antonio Muro at Helsinki Conservatory, and later historical plucked instruments at Metropolia University of Applied Sciences with Kari Vaattovaara and Eero Palviainen. Niklas teaches the guitar at BorgÃ¥ Music school, and he is also a part-time lute and guitar pedagogy teacher at Metropolia University. Niklas works as a freelance musician, specializing in early plucked instruments. He is a member of the FiBO Collegium group of the Finnish Baroque Orchestra, working with audience education and projects involving young players and early music. The oboe course will offer an insight into the secrets of baroque oboe playing. 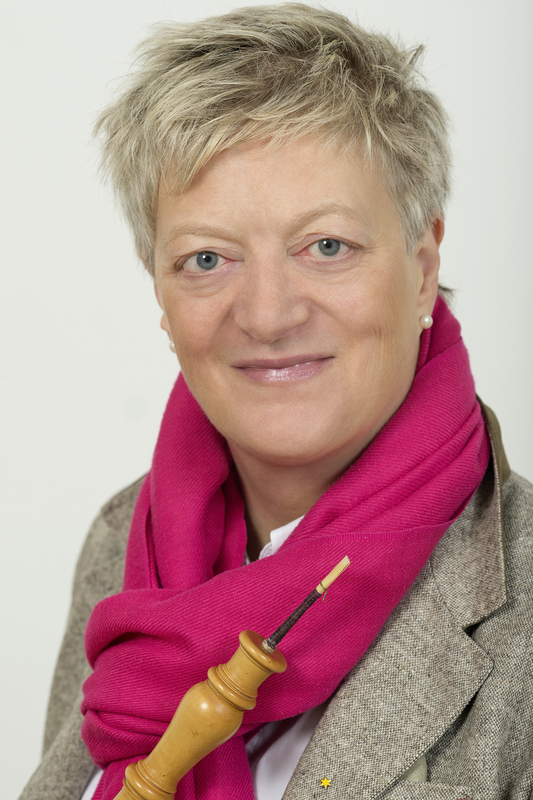 KATHARINA ARFKEN, born in Northern Germany, has specialized in playing historical double-reed instruments. Her main interest is the oboe of the 18th century. After working as an instrumentmaker she studied baroque/classical oboe and renaissance double-reed instruments at the Schola Cantorum Basiliensis, Switzerland, with Michel Piguet and at the Royal Conservatory of Music, The Hague, with Ku Ebbinge. 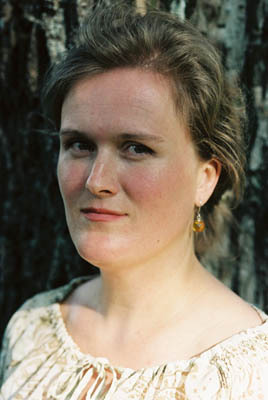 Katharina Arfken has performed and recorded with many leading ensembles, such as The English Baroque Soloists, dir. J. E. Gardiner and The Amsterdam Baroque Orchestra, dir. Ton Koopman. After 30 years as solooboist of the Freiburger Barockorchester, Germany, she now still plays as a guest with this ensemble, but puts her focus more on soloistic projects and chamber music. Her latest recordings include the Mozart oboe concerto with the Freiburg Baroque Orchestra and the concerto for oboe dâ€™amore by J.S.Bach (both recording label harmonia mundi, France). K. Arfken is a professor for baroque and classical oboe at the music academy Basel, Schola Cantorum Basiliensis, Switzerland and regularly gives summer courses in the whole of Europe. The recorder course will cover music from the middle ages to contemporary music, and there are both private and group lessons. The participants are expected to prepare a programme of 2-3 pieces before the course. The group lessons will concentrate on playing technique and improvisation. 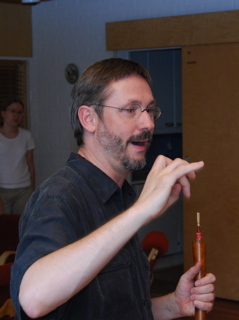 PEKKA SILÃ‰N studied the recorder at the Sibelius Academy in Helsinki (graduated 1986) and at the Conservatoire of Utrecht (diploma in performance 1992). He has given concerts in several European countries: recitals, as an orchestral soloist and as a chamber musician (e.g the ensembles Cornucopia, The Elysian Fields and La Compagnie InÃ©gale [(since 1985), Ensemble Arachne (1993-2000) and the recorder group Tuulen ViemÃ¤Ã¤ (â€œGone with the Windâ€�, 1991-2001) â€“ throughout Finland as well as in Germany, the Netherlands, Sweden, Norway, Spain and Estonia)]. He has made several radio and television recordings. His creative concert programmes include both less-known baroque and renaissance music, and world and Finnish premieres of contemporary compositions. Pekka SilÃ©n teaches at the West Helsinki Music Institute, providing a diverse programme in both recorder and chamber music, while coordinating the Instituteâ€™s lively early music activities. He helped organise the FIBO Collegiumâ€™s Concerto Grosso event at the Helsinki Music Centre in 2012. JANEK Ã–LLER has a Master's degree in music. He studied the recorder at the Sibelius Academy (Helsinki, Finland) and on master classes, and specialised in early music. He started studying the bagpipes in Italy with Riccardo Delfino. 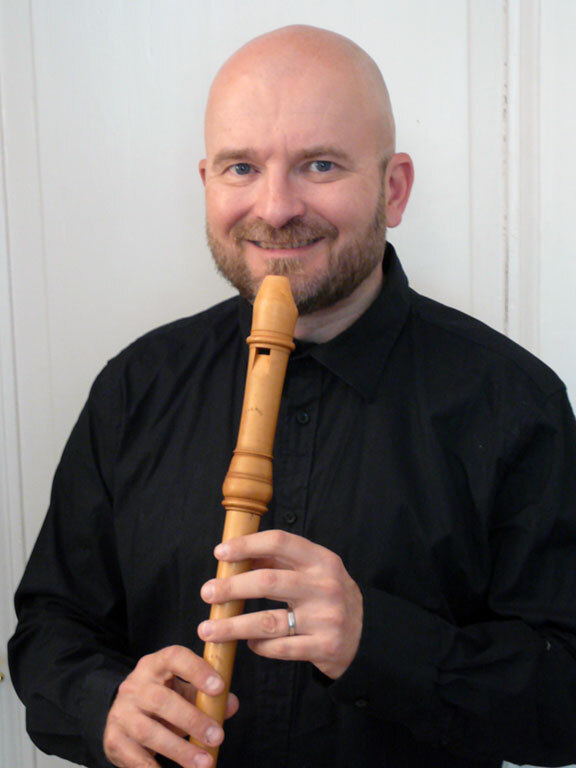 He is an active performer in Finland and abroad both as a soloist and in various chamber music ensembles, and also works as a recorder teacher. 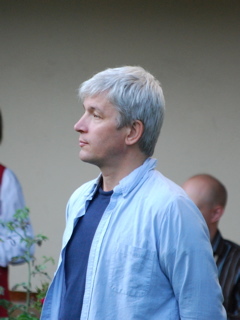 Ã–ller is also a founding member of the early music ensemble Fioretto, mediaeval music ensemble Oliphant, the recorder ensemble Tuulen ViemÃ¤Ã¤ (Gone with the Wind), and the baroque ensemble La Compagnie InÃ©gale. 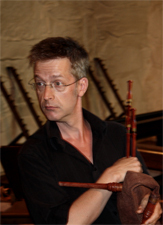 The course will concentrate on renaissance reed playing (shawm, dulcian, crumhorn, etc.). BERNHARD STILZ studied recorder playing, musicology, history, art history and pedagogy in SaarbrÃ¼cken and early music in the Schola Cantorumin Basel. He received his diploma in 1992 specialising in ensembles, and having recorder, dulcian, shawm, and crumhorn as his instruments. Bernhard teaches and gives concerts in several European countries, and his specialities are early music and historical performance practice, especially ensemble music from the 15th to 17th century. He has performed in the most important early music festivals with many ensembles, e.g. La Fenice, Daedalus, Les Haultz et les Bas, La Caccia, Huelgas Ensemble, and Ricercar Consort and recorded to many record labels (Accent, Ricercar, Vanguard Classics etc.) and European radio broadcasting companies. He also contributes to several papers and magazines and is the head of the early music department as well as the [early music and] wind instruments department of the Conservatory of SaarbrÃ¼cken. The programme of these ensembles will be decided during the course, so that there is no need to prepare beforehand. In addition to these big ensembles, there will be a number of smaller ensembles. In order to have a successful ensemble experience, please be careful when filling in the registration form, and state your preferences and experience as clearly as possible.